Ambassador of the Republic of South Africa H.E. Geoff Doidge and Mrs Carol Doidge hosted a magnificent reception at the Grand Ballroom of the prestigious Conrad Hotel in the heart of Bangkok. 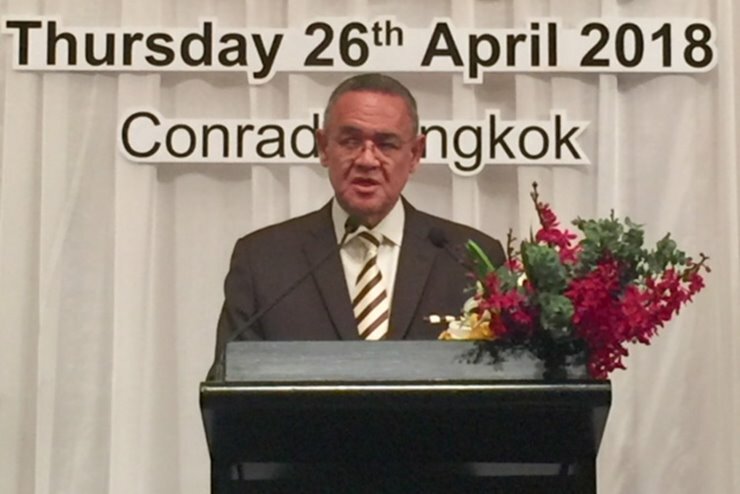 BANGKOK: A highly successful Freedom Day celebration took place at the Conrad Hotel in Bangkok last night. Showcasing the very best that South Africa has to offer, this busy and active Embassy once again put on an outstanding celebration which was widely attended by over 300 guests including many of Thailand's diplomatic corp.
H.E. Ambassador Doidge on behalf of South Africa President Cyril Ramaphosa paid homage to the long and cordial friendship that has developed over many years between South Africa and Thailand and referred to the legacy of late Nelson Mandela and the wide ranging opportunities for trade and investment that continues to flourish in South Africa. He also paid tribute to the ladies and gentlemen who work tirelessly in the public and private domain who have made this possible. The Ambassador also thanked all the members of the South African Thai Chamber of Commerce (SATCC) and the numerous sponsors and airlines who continue to support the Embassy's global trade efforts. Ambassador Doidge led the distinguished guests with the loyal toasts. 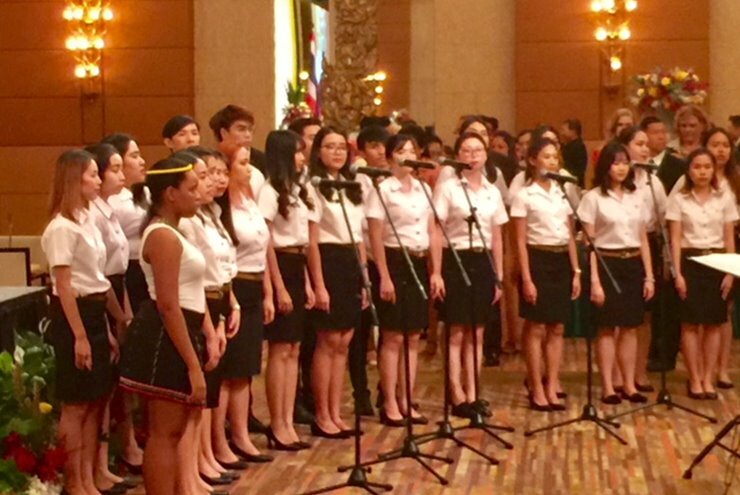 Both the South African and Thailand Anthems were sang by the extraordinary talented choir of Assumption University students.